Noel Bazaar, the metro’s biggest and longest-running shopping event will be swinging to the south on December 2 to 4, 2016 from 11am to 9pm at the FIlinvest Tent Alabang. It is the only prime destination of hundreds of thousands shoppers who are expecting to find all their holiday needs in one roof. Shop, eat and be merry at Noel! Do come with your family and friends as it will feature a wide range of concessionaires – from fashion and beauty items, home decors, food, novelties, Christmas trimmings and other unique and affordable gift items for the upcoming holiday season and beyond. If you ever take a quick break from your shopping, we've got you covered as well! Do check out our Outdoor Food Market where you can find all kinds of good eats that will absolutely keep those tummies full. 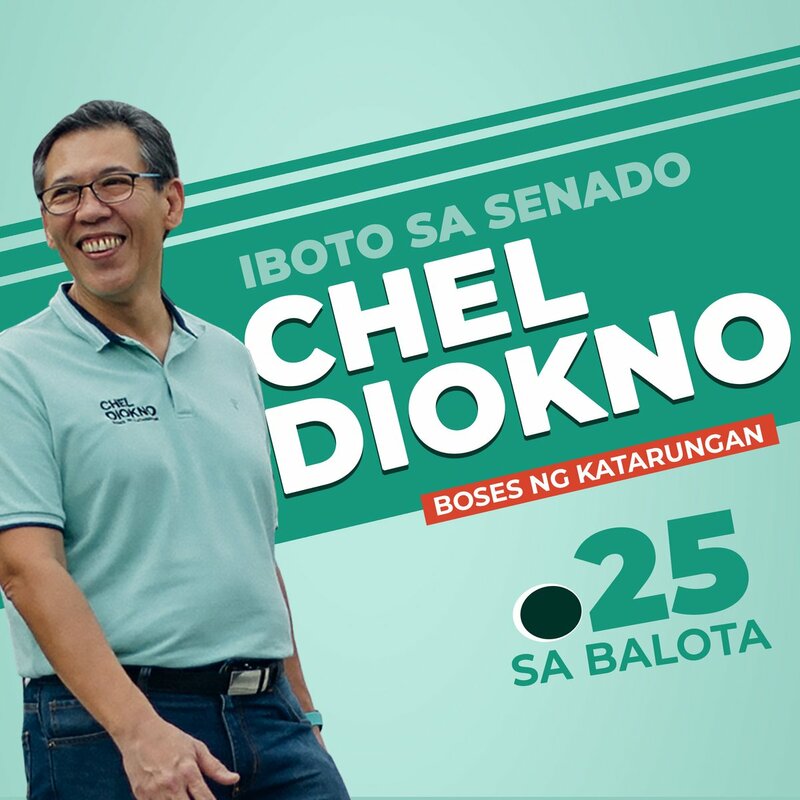 This event will be for the benefit of the GMA Kapuso Foundation, Bantayog ng mga Bayani Foundation and Associate Missionaries of Assumption, along with the Noel P. Gozon Medical Clinic and the Sts. Peter and John Parish. 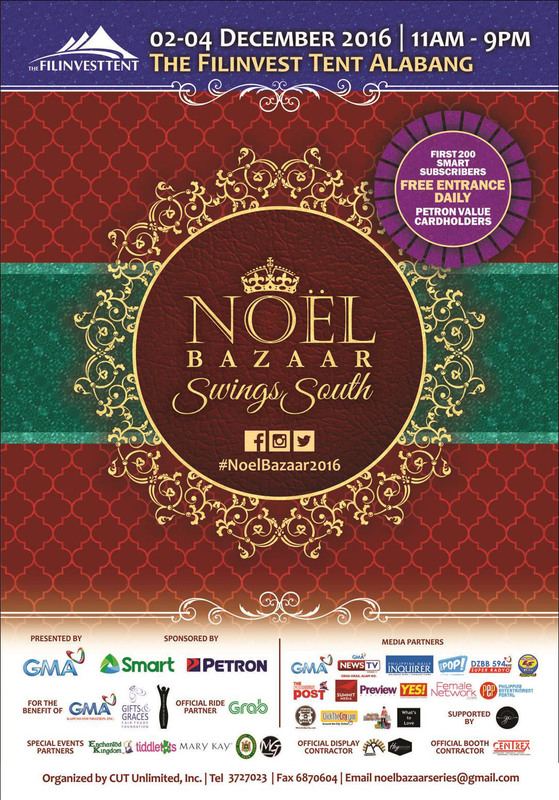 The Noel Bazaar Series 2016 is organized in partnership with Smart Communications, Inc. and Petron Corporation and in cooperation with theGMA Network and the Philippine Daily Inquirer. 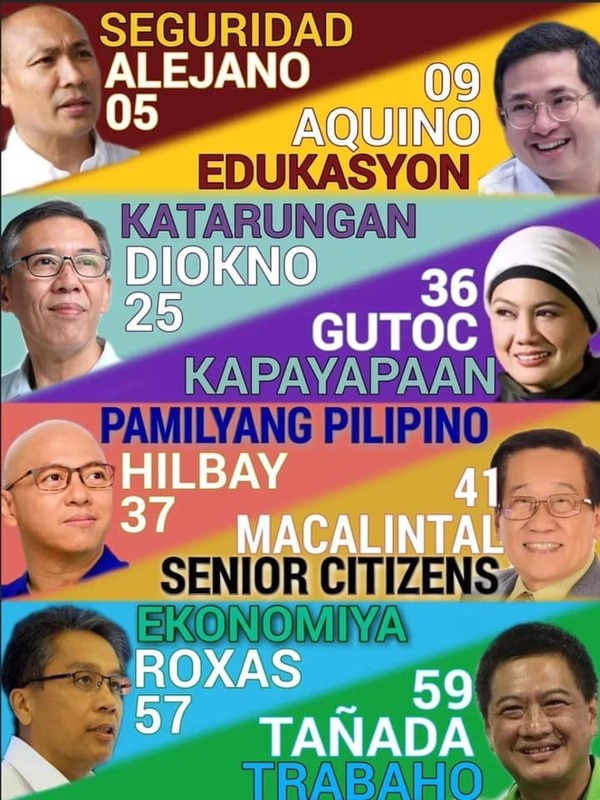 This event is supported by their Official Ride Partner– Grab, Media Partners–GMA Network, GMA News TV, Philippine Daily Inquirer, INQUIRER.net, Super Radyo DZBB 594khz,BARANGAY LS 97.1FM, The Foreign Post, Summit Media, Preview Magazine, YES! Magazine, Female Network, pep.ph, When In Manila.com,Clickthecity, Manila Shopper and What's to Love PH. For more information, email at noelbazaarseries@gmail.com or call 3727023 / 3727024 / 3727025. 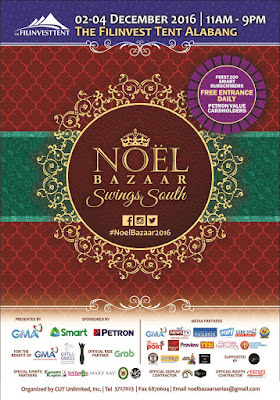 And again, as one of Noel Bazaar's media partners, I am giving away tickets for 2 to the South's biggest shopping event! Let's do this!